As a security company, we receive many calls from victims of recent burglaries and a few who have experienced a home invasion. It is so disturbing and we feel for what they have gone through and the fear it sometimes causes. Your home should be your refuge and we want to help you get back your security and peace of mind. Others call us and say they just feel “it’s time” to get protected before something does happen. The first step to getting protection for your home and family is to understand your home security system options and the types of monitoring service that are available to you. Our most satisfied customers, frequently tell us having a Security Consultant come out for a free in home security review was very beneficial to them. The in-home evaluation gives you information from a security professional who has seen your property and can truly evaluate the security needs of your home. If you have an existing security system or pre-wire, it is almost always best to have a security expert take at look at your options. Many times homeowners have a lot of valuable security products already installed and we can use your existing equipment saving you significant money. You will still have the ability to add the additional security products and services you desire and upgrade your system to modern day standards. You may also call us to go over pricing options on the phone, get answers to security questions or schedule your free home security review. "We decided to install a security system in our home after a burglary." "We decided to install a security system in our home after a burglary. Otis, our sales rep, came out to evaluate our needs and give us a quote on an installation to meet our needs. He was very professional, courteous, friendly, and knowledgeable and helped us decide on the best system to meet our needs. He did a walk-through to determine where all the sensors needed to be placed, and took our input about what we would like to have covered. He gave us a quote on costs and did not do a "hard sell" but let us decide (taking a few days) in our own time which we appreciated. Otis has been very responsive both with completing our purchase and being available to answer questions before and after installation. The installation was scheduled in a very timely manner and the installer did a good job. He then instructed us in the use of the system, and answered all questions we had at the time. 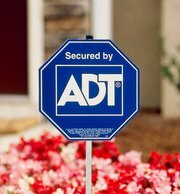 We are pleased with the ADT system, and the California Security Pro staff, and would recommend them to anyone who would ask." "Scheduled immediately and installation within 48 hours." "Recently had a system installed after home burglary. Received a call back the same morning as my initial inquiry and the consult was scheduled immediately and installation within 48 hours. Ryan, the customer rep, was clear and concise in his presentation of my options with no pressure whatsoever. The installer, Carl, was friendly and knowledgeable and took the time to make sure I understood the new system. Very satisfied with the service!" Call us today at 1-800-310-9490. 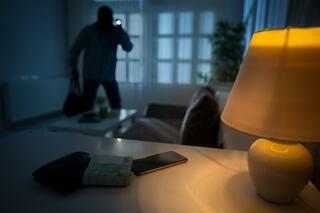 What You Can Do to Help Prevent Home Invasions? It’s time to stop intruders with the most effective burglar stop sign in America.